Jan Osborn is Executive Director for Touch A Life, a Dallas-based nonprofit that cares for child survivors of human trafficking in Ghana, West Africa. Touch A Life operates the only long-term care center for children rescued from forced labor in West Africa. Jan has been instrumental in the creation of Touch A Life’s newest program, Life Academy, which provides vocational training opportunities and life skills development for young adults in the organization’s care. Life Academy creates opportunities for Touch A Life’s oldest students providing them with the resources and training they need to become successful adults, employees, and entrepreneurs. Launched in February 2016, the Life Academy program currently serves eight students in their early twenties. All eight students are currently working full time for local small businesses or at the Life Academy Sewing Collective, which creates handmade products made from batik fabric, traditional mud cloth, and leather. Life Academy’s program also includes weekly literacy classes, therapy, and yoga sessions. Currently, Jan is serving on the Board of Directors for CARE Dallas and Kershaw’s Challenge. 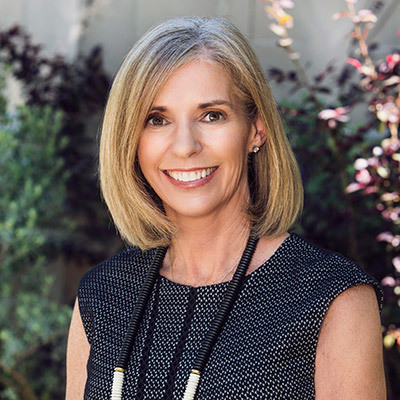 Previously she has served on other Dallas area boards including New Friends New Life, The Elisa Project, Connecting Point of Park Cities, Nexus Auxiliary, and Caron Texas. Jan has also chaired fundraising events for Preston Hollow Elementary, Dallas Christian School, Pink Day, and the Dallas Women’s Foundation. A native of Bentonville, Arkansas, Jan has called Dallas home for over 30 years. She plays tennis with several local teams, as well as spending time with her husband, Scott, and two adult sons.